Joe Bourne's Brain Dump Blog! : New Viessmann Vitodens 100. Combi Boiler installed..
New Viessmann Vitodens 100. Combi Boiler installed.. So its now all fitted. mounted in the loft to save space in the house, with a vertical flue going up out of the roof and an RF remote control to contol it with to stop me having to climb up into the loft to change the settings! Today was the first time i'd been able to see the installation in daylight. First impressions are that the boiler its self looks great. 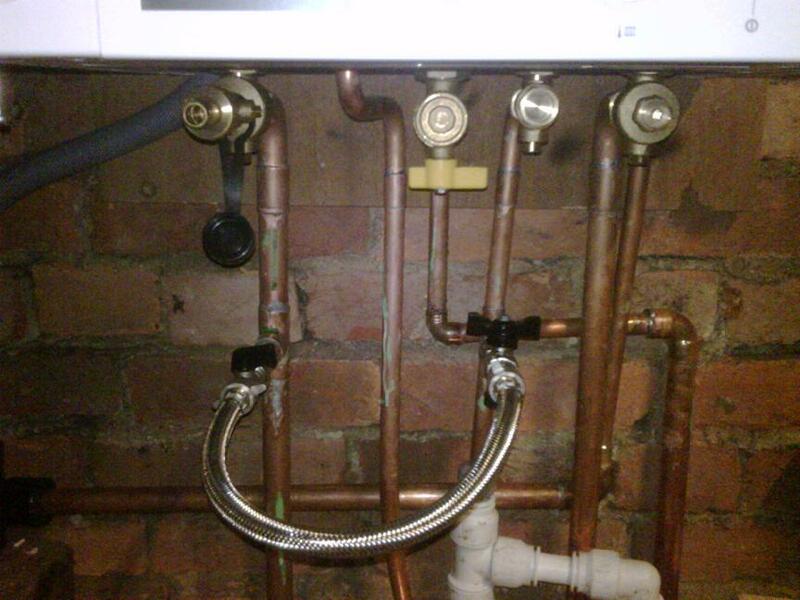 The plumbings isnt the neetest job ive ever seen but its functional and its hidden in the loft so not a big deal. However, the roof looks a mess! There are broken tiles, and it looks like one tile has fallen off. The flue look like someone just poked it through the roof from underneath - not finished well at all so i was pretty upset! Photo of the plumbing.. not that pretty, but its hidden in the loft! Viessmann Boilers - Beware of bad installations!